Media Relations . . . Alice Settle-Raskin, Owner/Consultant of Alice's AgriMaryland, has over 10 years of communications experience and has provided successful media relations campaigns, from internet/web campaigns to radio, television and print. Below are just a few recent examples of media relations at work. 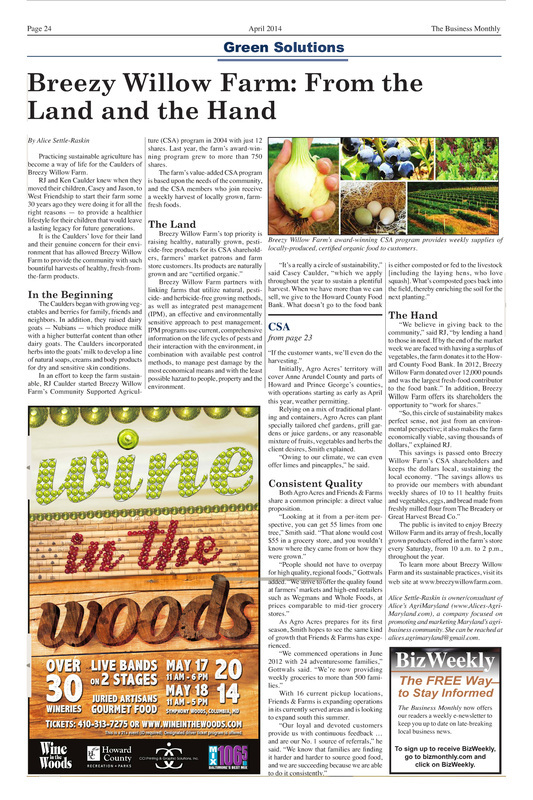 Distributed as the feature article for the first issue of Alice's AgriMaryland News as well as posted Alice Settle-Raskin's blog on the Columbia Patch featured in CityBizList-Baltimore. 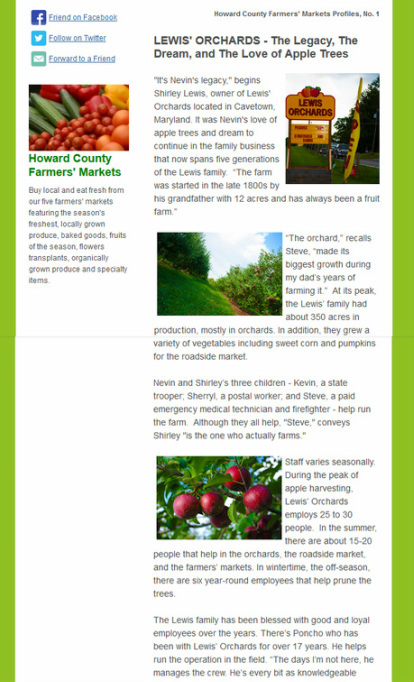 Distributed as a news article for the Howard County Farmers' Markets and also published in Alice Settle-Raskin's blog on the Columbia Patch. This led to the first Columbia Patch blogger spotlight, Five Generations of Farming Fruit: Howard County Blogger Spotlight. 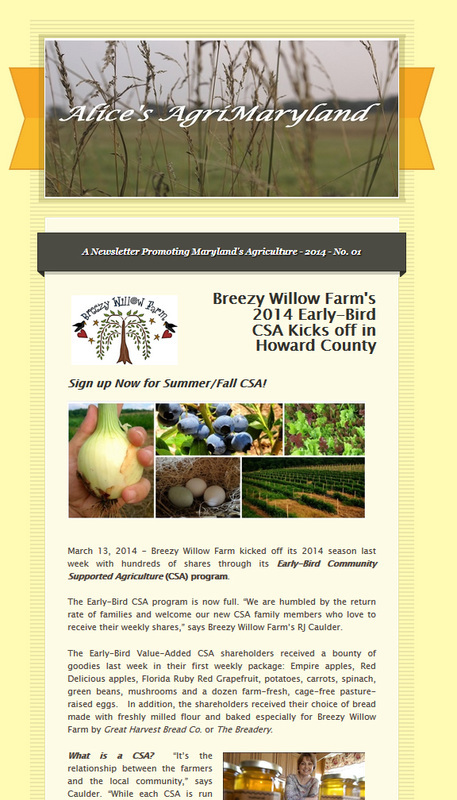 CSAs which continues on this page written by George Berkheimer, Senior Writer, The Business Monthly! Thank you for remembering to Buy Local & Eat Fresh!